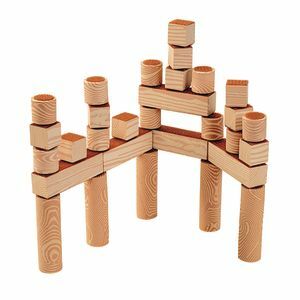 Large easy-to-handle soft shapes build coordination and confidence. 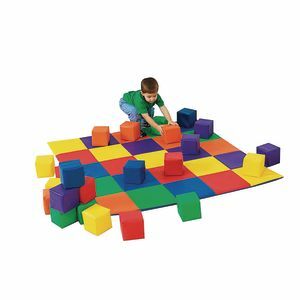 Set of 10 foam blocks in 4 shapes. Foam covered in expanded vinyl. Easy to clean and sanitize. 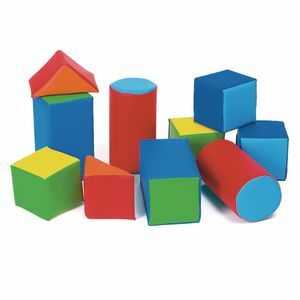 Square is 5.5" and other shapes are in proportion. 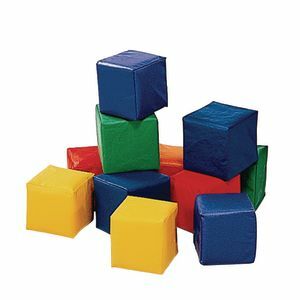 Vinyl covered marshmallow-soft foam blocks are the perfect size for babies and toddlers to stack up and knock down. 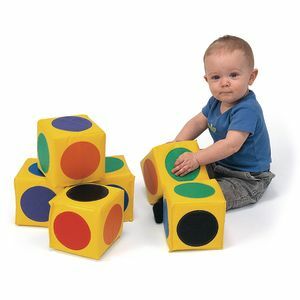 Soft blocks come in primary colors. 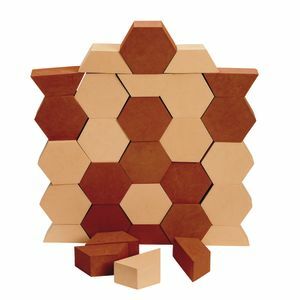 Each block is a 5-1/2" cube. Mat sold separately.